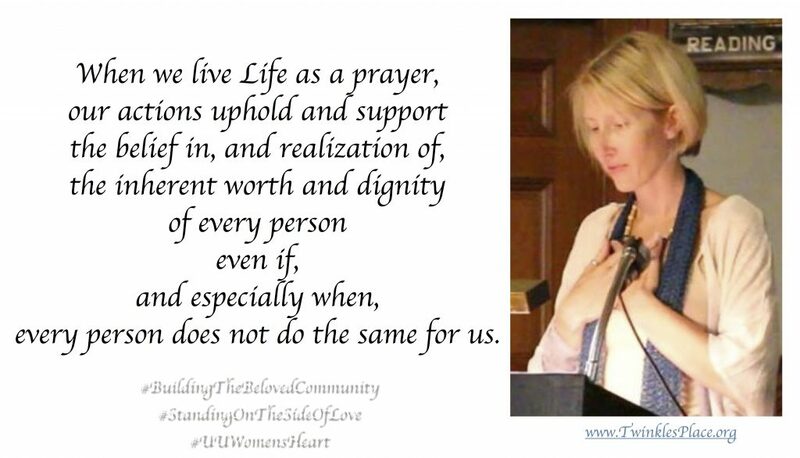 When we live Life as a prayer, our actions uphold and support the belief in, and realization of, the inherent worth and dignity of every person even if, and especially when, every person does not do the same for us. Let our gatherings with family, and in community, be filled with peace and love and thankfulness for the blessings we have. May we always and all ways be blessings to each other. Amen.